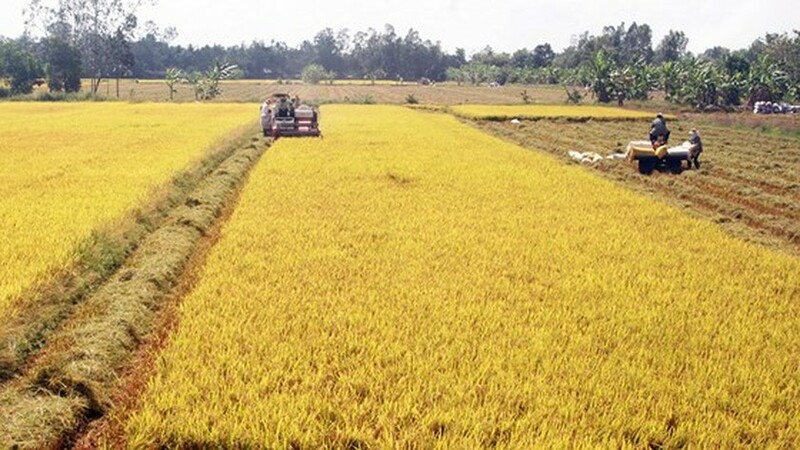 The introduction of Vietnam rice logo within the framework of the third Rice Festival in Long An province is expected to create an appropriate foothold for Vietnamese rice in the world market. Last week, Vietnam Farmers Association and the Ministry of Agriculture and Rural Development co-organized the festival. On this occasion, the ministry introduced the logo. According to the ministry, Vietnamese rice has been exported to 150 nations and territories in the world. Of these, Asian market accounts for 68 percent, Africa 15 percent and America 6 percent. Despite much export volume, the Vietnamese rice market’s efficiency, competitive ability and development has been low. Vietnamese rice quality is not inferior to Thai rice. So the logo unveilment is predicted to help Vietnamese rice develop more firmly. 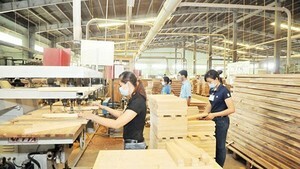 The Ministry of Industry and Trade said that Vietnam now accounts for 15 percent of the world’s rice export volume. Vietnam’s export price has been higher than rivals such as Thailand, India and Pakistan by US$50-100 a ton. It averages $504.4 a ton this year, up 14.6 percent over 2017 thanks to the increasing export ratio of high quality products such as fragrant, sticky rice and Japonica varieties. Reports by the Processing and Market Development Department under the Ministry of Agriculture and Rural Development show that rice export reached 5.8 million tons in volume and US$2.6 billion in value last year, up 21 percent and 22 percent over 2016. In the first 11 months this year, it touched 5.6 million tons and US$2.8 billion. The rice volume and value are expected to reach 6.1 million tons and $3.1 billion for the entire year, a year on year increase of 5.7 percent and 19.6 percent respectively. Acting head of the department Nguyen Quoc Toan said that after introducing the logo, the ministry will register it with World Intellectual Property Organization and seek countries’ consensus on the presence of the Vietnam rice logo. Afterward, ministries and associations will work together to improve rice export regulations towards intensifying high quality rice export through official channels. The focus of the logo is a stylized rice ear picturing Lac Viet bird, the symbol of Vietnam known in the world. The ellipse shaped outline of the logo is also the shape of rice and the earth, meaning Vietnamese rice has been known all over the world. The green logo brings the message that Vietnam’s agricultural industry has been developing with clean, safe and environmentally friendly products.